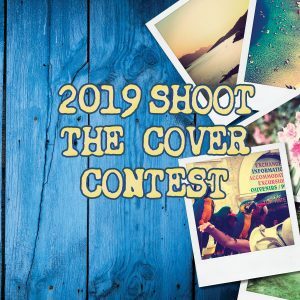 CAI-NJ proudly presents the 2019 Community Trends® “Shoot the Cover” photo contest. We are looking for pictures of the state’s popular destinations, historical landmarks and scenic locales, perhaps in your very own community association, to grace the cover of the December 2019 issue of Community Trends®. Entries must be received by the chapter office with this entry form no later than 5:00 p.m. on Friday, November 1, 2019. The winner will be selected by the CAI-NJ Editorial Committee and the photo will be featured on the cover of the December 2019 issue of Community Trends®. Second and third-place photos will receive special recognition inside the December 2019 issue of Community Trends®. Photo entries should be submitted as digital files via email along with the entry form to info@cainj.org. CAI-NJ board members, staff and members of the Editorial Committee are not eligible to enter, but all other CAI-NJ members are welcome to submit photo(s) for consideration. By submission of this entry form and your photographs, you are authorizing CAI-NJ to use, reproduce and publish the photographs in print and/or electronically without compensation, and you agree that CAI-NJ may use such photographs for any lawful purpose, including for example such purposes as publicity, illustration, advertising and web content. Also, any photos of minors under 18 years of age must be accompanied by a separate release form.